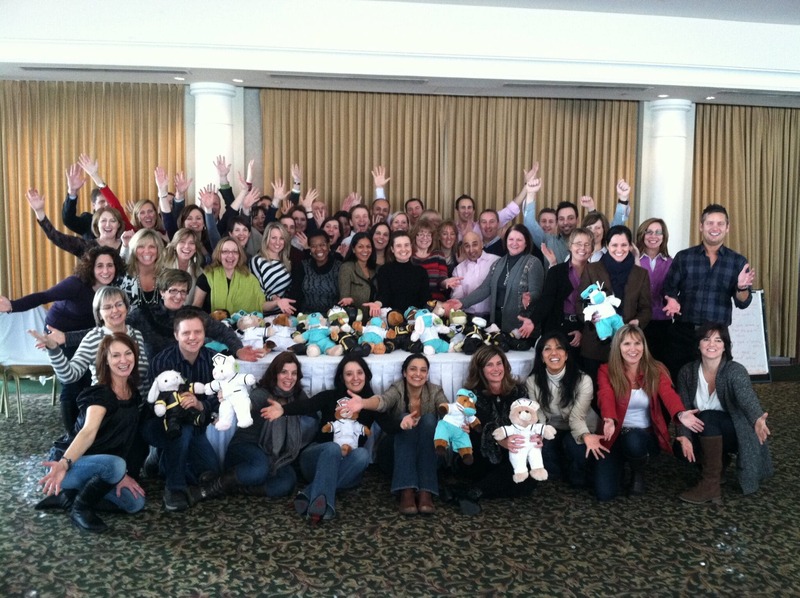 Pfizer’s Primary Care Unit Marketing Team in Canada included a Rescue Bear®team building workshop in their annual conference in Montreal, Quebec in Canada. This is the one time per year when the whole team comes together from across the country. Since 1849, Pfizer has been dedicated to developing innovative medications to prevent and treat diseases. Pfizer Canada is a healthcare company that’s dedicated to helping Canadians and animals live healthier lives. 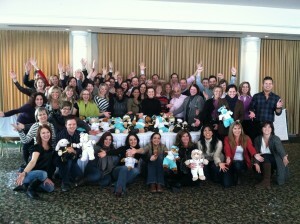 This event brought together 60 marketing team members from across Canada. Rescue Bear team building® is a workshop that is designed to help people see the importance of matching a person with the right talent for the right role within the company. It helps participants identify the strengths of themselves and others and rely on those strengths when under pressure. It shows how/why “Silos” are created and how to deal with the “Silo” effect more effectively. At the end of the workshop, the stuffed animals that are put together and dressed in various fire and rescue uniforms are donated to a local organization that helps kids. In this case, the donation was given to the Starlight Foundation, which was founded in 1989 to brighten the lives of seriously ill children and their families from coast to coast. 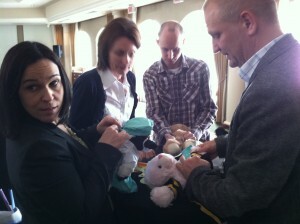 They will use the stuffed animals with those children to provide them with a small comfort in the midst of trauma. The Pfizer group rose to the challenges and had a good time challenging each other about getting out of their comfort zones and “silos” to create a true group effort. Natural human tendencies can cause us to resist collaborating together and helping one another succeed, but this group got the message and working beautifully together. Rescue Bear is a great way to reinforce some of the important themes of working as a team and matching the right talents for the job, all while giving your team the opportunity to play together. And the philanthropic component of the event is sure to put it all into perspective. This team activity is a great way to have fun with your team, learn something important about how your team works together, and help kids who have been through a tragedy!